The Cardamom Hills (Malayalam: ഏലമല, Tamil: ஏலக்காய் மலை) southern hills of India and part of the southern Western Ghats located in southeast Kerala and southwest Tamil Nadu in South India. Their name comes from the cardamom spice grown in much of the hills' cool elevation, which also supports pepper and coffee. The Western Ghats, Periyar Sub-Cluster including the Cardamom Hills, is under consideration by the UNESCO World Heritage Committee for selection as a World Heritage Site. The Cardamom Hills Central point is about 9°52′N 77°09′E﻿ / ﻿9.867°N 77.150°E﻿ / 9.867; 77.150. They cover about 2,800 km2 of mountainous terrain with deep valleys, and includes the drainages of the west flowing Periyar, Mullayar and Pamba rivers. It includes Idukki Dam and Mullaperiyar Dam. They conjoin the Anaimalai Hills to the northwest, the Palni Hills to the northeast and the Agasthyamalai Hills to the south as far as the Aryankavu pass (at c. 9° N). The crest of the hills form the boundary between Kerala and Tamil Nadu. Anamudi (8,842 ft) in Eravikulam National Park, is the highest peak in western ghats and also the highest point in India south of the Himalayas. These hills experience average daily temperatures of 15°C in winter to 31°C in summer (April–May). The annual rainfall of 2,000 mm to 3,000 mm in Periyar decreases to less than 1,500 mm in the east in Srivilliputtur Wildlife Sanctuary. On the western side, two-thirds of the precipitation is received during the southwest monsoon from June to September. The areas also receive rainfall from the northeast monsoon (October–December) and from pre-monsoon showers (April–May). These hills are made up largely of several contiguous protected areas intended to restrict human access, protect specific endangered species and preserve some of the still undeveloped forest biomes. The central part of the hills comprise the Periyar Wildlife Sanctuary covering an area of 777 km2. The 350 km2 core zone of the sanctuary is the Periyar National Park and Tiger Reserve. Periyar is a major ecotourism destination. To the south of the Periyar Tiger Reserve are the reserve forests of the Ranni, Konni and Achankovil Forest Divisions. The Srivilliputtur Wildlife Sanctuary and reserved forests of the Tirunelveli Forest Division are contiguous with Periyar on the eastern side of the hills in Tamil Nadu in the rain-shadow area with mostly drier forests. The Meghamalai reserve forest, also contiguous with Periyar, is proposed to be the 600 km2 Meghamalai Wildlife Sanctuary to protect several threatened species including: Bengal tiger, Indian elephant, Nilgiri tahr, lion-tailed macaque, slender loris, grizzled giant squirrel, Salim Ali's fruit bat, great Indian hornbill, Hutton's pitviper and Vindhyan bob butterfly. The Cardamom Hill was an administrative area under two revenue officers (Tahasildar) created by the royal proclamation of Kingdom of Travancore in April 1822 to promote cardamom cultivation and to give facilities and protection to cardamom farmers. 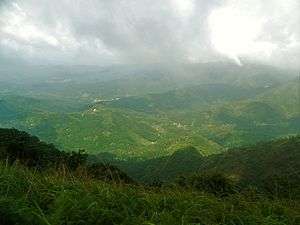 The Cardamom Hill Reserve (CHR) is within the Cardamom Hills Idukki District. 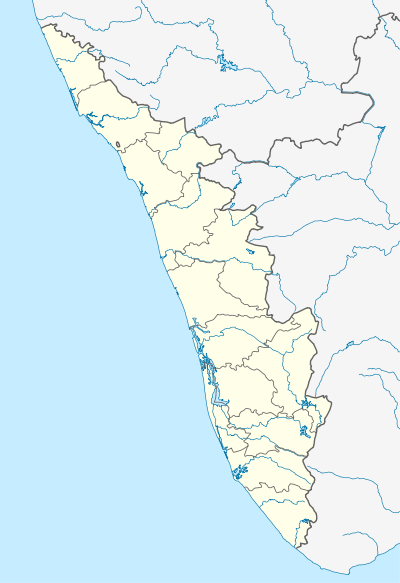 It comprises about 15,721 acres (63.62 km2) as per 1897 royal proclamation of the Kingdom of Travancore. But later the area was misquoted by many experts as 2, 15,721 acres (63.62 km2), which originated as a typographical error. It is bordered by the Tamil Nadu border to the east, Periyar Wildlife Sanctuary on the south, the Periyar River on the west, and Bodimettu, Chokkanad and Muthirapuzha to the north. The rain forests of CHR are a natural wildlife corridor to Periyar National Park from the Anaimalai Hills and Palani hills of Tamil Nadu and is the catchment area of 6 major hydro-electric projects in Idukki District. Now it is situated in the Idukki District of Kerala. According to Chief Secretary Government of Kerala Cardamom Hill land is Government land under the control of Revenue Department for more than a century. The total extent of Cardamom hill area was 1071.9746 km2 (264,885 acres) of which 568.6 km2 (140,500 acres) was assigned under various Land Assignment Rules. The balance of 503.38 km2 (124,386 acres) is leased to farmers for cardamom cultivation The CHR accounts for about 70 percent of the cardamom production of India. CHR contains The Cardamom Research Station, situated in the Pampadumpara village of Udumbanchola taluk. It is located on the eastern side of Kumily-Munnar road. See:map. CHR is the center of a controversy between the Forest Department and the Revenue Department over control of the Cardamom plantations in the Reserve. Non-cardamom cultivation, illegal land conversion, and large scale destruction of trees in the CHR have been blamed for flash-floods and landslips in Idukki and siltation problems in the Idukki dam. ↑ KERALA AGRICULTURAL UNIVERSITY, Research Stations, retrieved 9/5/2007 Cardamom Research Station Archived September 8, 2007, at the Wayback Machine. Wikimedia Commons has media related to Cardamom Hills.